Our solid wood Messenger's Roll Top Desk simplifies your work space with the gentle beauty of handcrafted furniture in your chosen hardwood and stain. 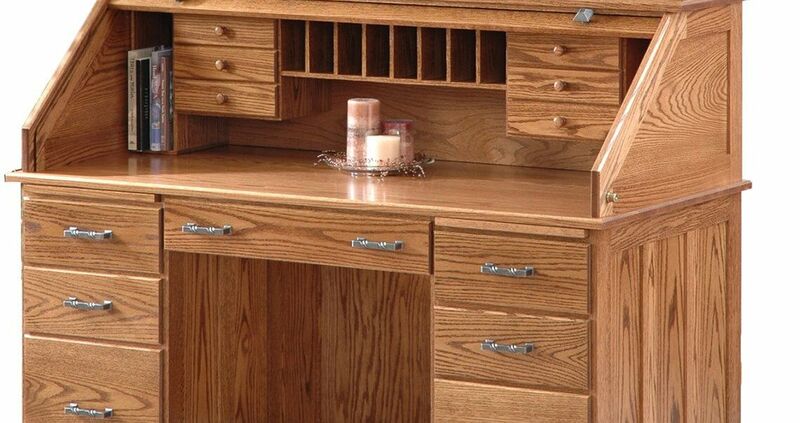 The Messenger's Roll Top Desk features clean cut lines to bring an uncluttered approach to your work space. The beauty of all natural solid Oak, Rustic Cherry, Elm, Cherry, Brown Maple, Quarter Sawn White Oak, Maple, or Walnut woods is enhanced by a hand staining and finish, to preserve that beauty for years to come. The dovetailed drawers, slides, solid wood tambour, and hardware are all designed to bring high functionality, longevity, and ease of use. 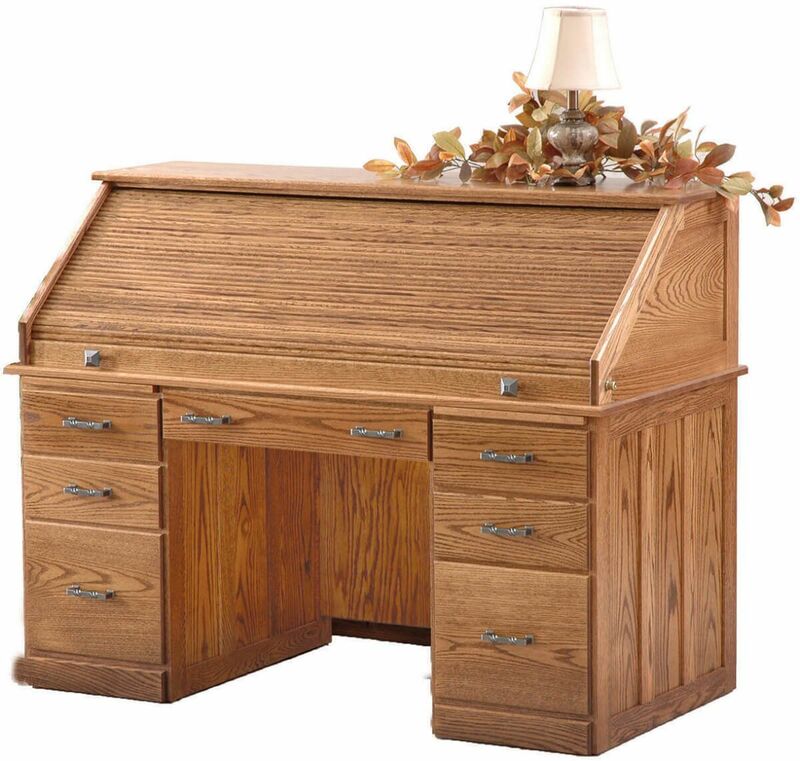 Tackle your paperwork with confidence thanks to the Amish Messenger's solid wood Roll Top desk from Countryside.